The valuable component of biogas is methane (CH4) which typically makes up 60%, with the balance being carbon dioxide (CO2) and small percentages of other gases. The proportion of methane depends on the feedstock and the efficiency of the process, with the range for methane content being 40% to 70%. Biogas is saturated and contains H2S, and the simplest use is in a boiler to produce hot water or steam. The most common use is where the biogas fuels an internal combustion gas engine in a Combined Heat and Power (CHP) unit to produce electricity and heat. In Sweden the compressed gas is used as a vehicle fuel and there are a number of biogas filling stations for cars and buses. The gas can also be upgraded and used in gas supply networks. The use of biogas in solid oxide fuel cells is also being researched. The most common method for utilization of biogas in developing countries is for cooking and lighting. Conventional gas burners and gas lamps can easily be adjusted to biogas by changing the air to gas ratio. In more industrialized countries boilers are present only in a small number of plants where biogas is used as fuel only without additional CHP. 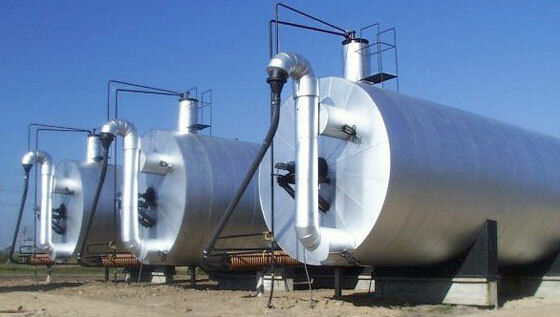 In a number of industrial applications biogas is used for steam production. Burning biogas in a boiler is an established and reliable technology. Low demands are set on the biogas quality for this application. Pressure usually has to be around 8 to 25 mbar. Furthermore it is recommended to reduce the level of hydrogen sulphide to below 1 000 ppm, this allows to maintain the dew point around 150 °C. Biogas is the ideal fuel for generation of electric power or combined heat and power. A number of different technologies are available and applied. The most common technology for power generation is internal combustion. Engines are available in sizes from a few kilowatts up to several megawatts. Gas engines can either be SI-engines (spark ignition) or dual fuel engines. Dual fuel engines with injection of diesel (10% and up) or sometimes plant oil are very popular in smaller scales because they have good electric efficiencies up to guaranteed 43%. The biogas pressure is turbo-charged and after-cooled and has a high compression ratio in the gas engines. The cooling tower provides cooling water for the gas engines. The main component of the system required for utilizing the technology are anaerobic digester, moisture remover, flame arrester, waste gas burner, scrubber, compressor, storage, receiver, regulator, pressure switch and switch board. Gas turbines are an established technology in sizes above 500 kW. In recent years also small scale engines, so called micro-turbines in the range of 25 to 100kW have been successfully introduced in biogas applications. They have efficiencies comparable to small SI-engines with low emissions and allow recovery of low pressure steam which is interesting for industrial applications. Micro turbines are small, high-speed, integrated power plants that include a turbine, compressor, generator and power electronics to produce power. The benefit of the anaerobic treatment will depend on the improvement of the process regarding a higher biogas yield per m3 of biomass and an increase in the degree of degradation. Furthermore, the benefit of the process can be multiplied by the conversion of the effluent from the process into a valuable product. In order to improve the economical benefit of biogas production, the future trend will go to integrated concepts of different conversion processes, where biogas production will still be a significant part. 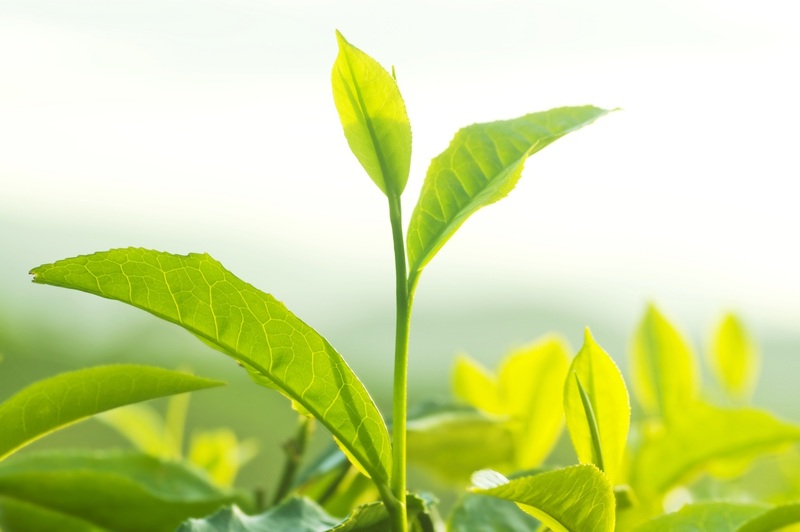 In a so-called biorefinery concept, close to 100% of the biomass is converted into energy or valuable by-products, making the whole concept more economically profitable and increasing the value in terms of sustainability. 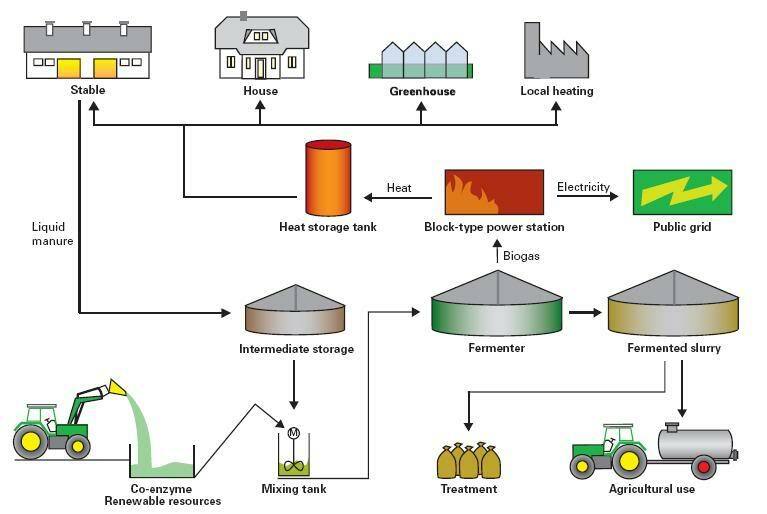 One example of such biorefinery concept is the Danish Bioethanol Concept that combines the production of bioethanol from lignocellulosic biomass with biogas production of the residue stream. Another example is the combination of biogas production from manure with manure separation into a liquid and a solid fraction for separation of nutrients. One of the most promising concepts is the treatment of the liquid fraction on the farm-site in a UASB reactor while the solid fraction is transported to the centralized biogas plant where wet-oxidation can be implemented to increase the biogas yield of the fiber fraction. Integration of the wet oxidation pre-treatment of the solid fraction leads to a high degradation efficiency of the lignocellulosic solid fraction. Biogas that has been upgraded by removing hydrogen sulphide, carbon dioxide and moisture is known as biomethane. Biomethane is less corrosive than biogas, apart from being more valuable as a vehicle fuel. 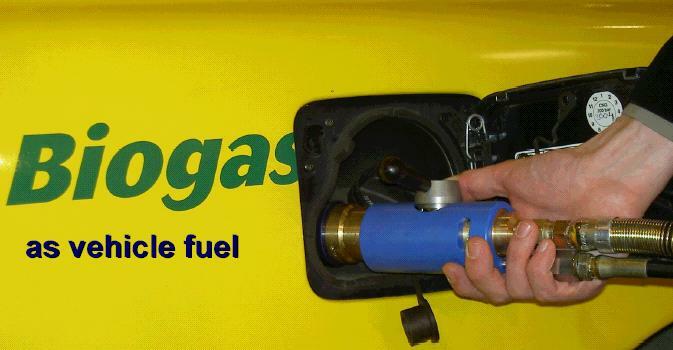 The typical composition of raw biogas does not meet the minimum CNG fuel specifications. In particular, the CO2 and sulfur content in raw biogas is too high for it to be used as vehicle fuel without additional processing. Biomethane can be liquefied, creating a product known as liquefied biomethane (LBM). Biomethane is stored for future use, usually either as liquefied biomethane or compressed biomethane (CBM) or since its production typically exceeds immediate on-site demand. Two of the main advantages of LBM are that it can be transported relatively easily and it can be dispensed to either LNG vehicles or CNG vehicles. Liquid biomethane is transported in the same manner as LNG, that is, via insulated tanker trucks designed for transportation of cryogenic liquids. Biomethane can be stored as CBM to save space. The gas is stored in steel cylinders such as those typically used for storage of other commercial gases. Storage facilities must be adequately fitted with safety devices such as rupture disks and pressure relief valves. The cost of compressing gas to high pressures between 2,000 and 5,000 psi is much greater than the cost of compressing gas for medium-pressure storage. Because of these high costs, the biogas is typically upgraded to biomethane prior to compression. The utilization of biomethane as a source of energy is a crucial step toward a sustainable energy supply. Biomethane is more flexible in its application than other renewable sources of energy. Its ability to be injected directly into the existing natural gas grid allows for energy-efficient and cost-effective transport. This allows gas grid operators to enable consumers to make an easy transition to a renewable source of gas. The diverse, flexible spectrum of applications in the areas of electricity generation, heat provision, and mobility creates a broad base of potential customers. Biomethane can be used to generate electricity and heating from within smaller decentralized, or large centrally-located combined heat and power plants. It can be used by heating systems with a highly efficient fuel value, and employed as a regenerative power source in gas-powered vehicles. Biogas can be upgraded to biomethane and injected into the natural gas grid to substitute natural gas or can be compressed and fuelled via a pumping station at the place of production. Biomethane can be injected and distributed through the natural gas grid, after it has been compressed to the pipeline pressure. In many EU countries, the access to the gas grid is guaranteed for all biogas suppliers. One important advantage of using gas grid for biomethane distribution is that the grid connects the production site of biomethane, which is usually in rural areas, with more densely populated areas. This enables the gas to reach new customers. Injected biomethane can be used at any ratio with natural gas as vehicle fuel. Biomethane is more flexible in its application than other renewable sources of energy. The main barriers for biomethane injection are the high costs of upgrading and grid connection. Grid injection is also limited by location of suitable biomethane production and upgrading sites, which have to be close to the natural gas grid. Several European nations have introduced standards (certification systems) for injecting biogas into the natural gas grid. The standards, prescribing the limits for components like sulphur, oxygen, particles and water dew point, have the aim of avoiding contamination of the gas grid or the end users. In Europe, biogas feed plants are in operation in Sweden, Germany, Austria, the Netherlands, Switzerland and France. Sweden is considered as a global leader in sustainable waste management and in the reduction of per capita carbon footprint. The country consistently works to lower its greenhouse gas emissions, improve energy efficiency and increase public awareness. Over the past 10 years, Sweden developed methods of repurposing waste, so less than one percent of the total waste generated in the country makes it to landfills. To accomplish this, the country changed their perspective of garbage. Recycling is a part of Swedish culture. Residents regularly sort recyclable materials and food scraps from other waste in their homes before disposal. This streamlines the recycling process and reduces the effort required to sort large volumes of waste at larger recycling centers. As another way to promote recycling, the Swedish government created legislation stating recycling centers must be within 1,000 feet of residential areas. Conveniently located facilities encourage citizens to properly dispose of their waste. Citizens are also encouraged to reuse or repurpose materials before recycling or disposing of them. Repurposing and reusing products requires less energy when compared to the recycling or waste disposal process. As Swedes use more repurposed products, they reduce the volume of new products they consume which are created from fresh materials. In turn, the country preserves more of its resources. Over 50 percent of the waste generated in Sweden is burned in waste-to-energy facilities. The energy produced by these facilities heats homes across the country during the long winter months. Localized heating — known as district heating — has improved air quality throughout the nation. It’s easier and more economical to control the emissions from several locations as opposed to multiple, smaller non-point sources. Another benefit of waste-to-energy facilities is that ash and other byproducts of the burning process can be used for road construction materials. As a whole, Sweden doesn’t create enough waste to fuel its waste to energy plants — the country imports waste from its neighbors to keep its facilities going. In the early 1990’s, the Swedish government shifted the responsibility for waste management from cities to the industries producing materials which would eventually turn to waste. To promote burning waste for energy, the government provides tax incentives to companies which make more economically attractive. Although Sweden has eliminated the volume of trash entering landfills, they have increased their environmental impacts in other ways. Waste-to-energy facilities are relatively clean in that most harmful byproducts are filtered out before entering the environment, though they still release carbon-dioxide and water as their primary outputs. On average, waste-to-energy plants generate nearly 20 percent more carbon-dioxide when compared to coal plants. Coal plants burn and release carbon which is otherwise sequestered in the ground and unable to react with the earth’s atmosphere. Waste-to-energy facilities consume and release carbon from products made of organic materials, which naturally release their carbon over time. The downside to this process is that it frees the carbon from these materials at a much faster rate than it would be naturally. The reliance on the waste-to-energy process to generate heat and the tax incentives may lower Swedish motivation to recycle and reuse materials. The country already needs to import trash to keep their waste-to-energy plants running regularly. Another disadvantage of this process is the removal and destruction of finite materials from the environment. Even though Sweden continues to make strides in lowering their environmental impact as a whole, they should reevaluate their reliance on waste to energy facilities.